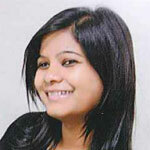 Akanksha Bhardwaj: I am pursuing Bachelors of Business studies from KMV, University of Delhi. Exploring, experimenting and experiencing are my ways of learning. Having interned with organisations like Channel V, Edumentor, Udaan ventures, TN’G, YeBhi.com, Nurturing Green – I discovered my passion for marketing. A theatre enthusiast (a part of Roobaroo- an independent theatre group) and an occasional writer, I want to explore the creative side of mine. Wanting to explore more about the society and about life combined together with the above two reasons brought me here to work for Jeevika Asia Livelihood Documentary Film Festival. I will be working on the Marketing Strategies, Promotional Plan, Social Media Marketing of the festival while getting a chance to interact with different people and know closely about livelihood issues. 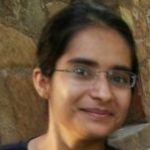 Baljeet Kaur: I’m currently studying Bachelor of Business Studies from Keshav Mahavidyalaya (University of Delhi). I believe in utilising my skills and channelling my energy for the good of the society. By interning for the Jeevika: Asia Livelihood Documentary Film Festival, I’m happy to promote the livelihood issues, contribute in initiating change in the society and work closely with CCS. I’m currently working on the organising of a Jeevika opening event (Group Discussion), stage play competition and other pre Jeevika events. I have previously worked with organisations like PFA, Aman Biradari, Swechha, WWF, Leaders for Tomorrow.